Bitcoin is a competitive business. Due to its decentralized nature, it has attracted a libertarian culture prone to individualistic thinking, which–while great for producing efficiency internally–can make it difficult to present a cohesive image as a community, and gather the necessary support for large-scale projects. The Vancouver Bitcoin community hopes to change that with Startup Weekend. We’ve created a Bitcoin Block for sponsorship purposes: all of our donations are pooled together, in an attempt to compete with larger corporate sponsors and reach a higher sponsorship tier (we’re currently 3 spots behind TD Bank). 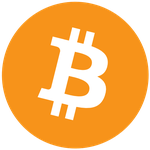 All Bitcoin donations sent to 19ZsPXZGZXSkQ6yTqJqWKfSrLRQjy6TNNg count towards our total. For the uninitiated: Startup Weekend is a non-profit registered in the United States that organizes 54-hour events for startup entrepreneurs in cities around the world. It began in 2007, and in 2010 received a grant from the Kauffman Foundation. Teams assemble, and with the guidance of mentors undergo discussions, workshops, presentations, and other preparations as they go from conceiving of a startup idea to putting it into executable form. A team of judges decide the best startup, and this year Vancouver’s victor will go on to compete in an international competition called the Global Startup Battle. Since cryptocurrency is such a burgeoning startup sector in Vancouver, the organizers of Vancouver Startup Weekend have decided to incorporate it heavily into the activities this year. Their team now accepts Bitcoin, in which all of our donations are given, and the bar will accept BTC for drinks using the CoinOS POS system. Each team will be offered a wallet preloaded with enough millibits for a beer, all of which go to a prize pool to be awarded to one participant or team. The Bitcoin Block–which so far includes Saftonhouse, Decentral Vancouver, the Bitcoin Co-op and Vanbex marketing and consulting group–will also be on-hand during the events to provide guidance, and Decentral will organize a pre-workshop to teach proper Bitcoin wallet set-up and use. We’ll also have booths and be giving talks during the main events, and a wrap-up afterwards. Speakers and mentors will include Jessie Heaslip of Bex.io, the prepackaged exchange platform, Lisa Cheng from Vanbex, and Manie Eagar from the Digital Finance Institute and Bitcoin Alliance of Canada. Spoken presentations will focus on startup opportunities in the crypto space, how cryptocurrency can help any business, and effective ways of using it. Mentors will encourage teams to engage with decentralized technologies, and answer any questions they might have as participating entrepreneurs learn ways of getting ahead in the business world. We’ll also be judging the teams in Vancouver on best use of decentralized technology. Some of the funds raised will be used to reward teams for integrating cryptocurrency, and we’ll be watching to see which team utilizes it the best! Startup weekend gets a lot of publicity, so if a Bitcoin startup makes it to or wins the global competition, it could raise a lot of awareness while sending a message to the business world about the viability of decentralized applications. Some of the Bitcoiners involved will be featured on Startup Weekend’s blog in the coming weeks, to explain how our ecosystem works. While free market forces often drive us apart, the crypto community is united by a shared goal, and ready to band together when necessary for a mutual cause.